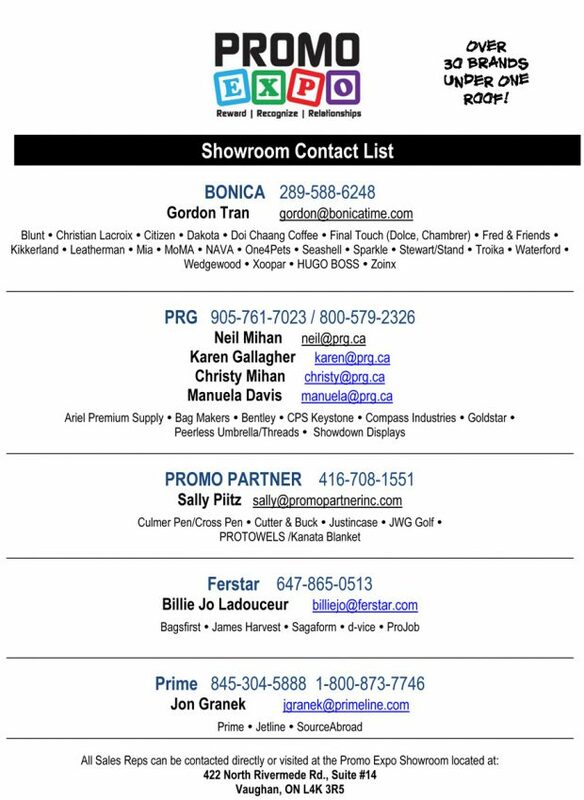 Promo Expo is a group of multi-line and supplier reps who share space and work together to promote the benefits of having more than 30 brands under one roof. Through mutual co-operation they are able to create added value for all members of the group by cross promoting each others lines and products. A comprehensive showroom/boardroom helps facilitate meetings with individual distributor sales people or full sales teams. The large sample lending library ensures that many products are immediately available without the cost or time constraints of ordering them from the suppliers directly. Everything on display and available for loan at PromoExpo is « in-line », current products in supplier offerings.